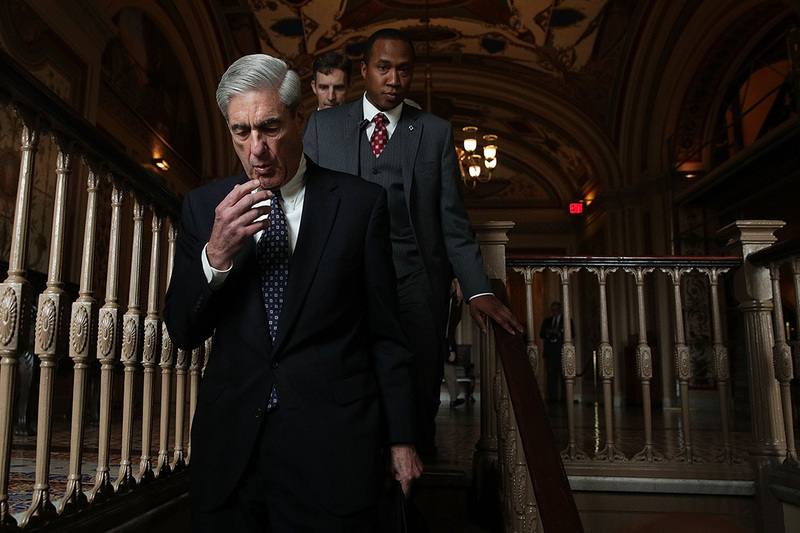 Before taking power, House Democrats vowed to give special counsel Robert Mueller the space needed to finish his work. Just four weeks in, however, sticking to that pledge is proving difficult. The possible clashes will be on display Tuesday morning when the new House Democratic Caucus meets for the first time to discuss Mueller’s investigation into President Donald Trump’s ties to Russia, a probe with no clear end in sight and ever-expanding subplots. For Speaker Nancy Pelosi and her committee chairs, the uncertainty surrounding the special counsel’s work presents a major challenge for keeping their liberal, rabble-rousing members in check — not to mention a hungry party base that believes Trump should have been impeached the day after his inauguration. 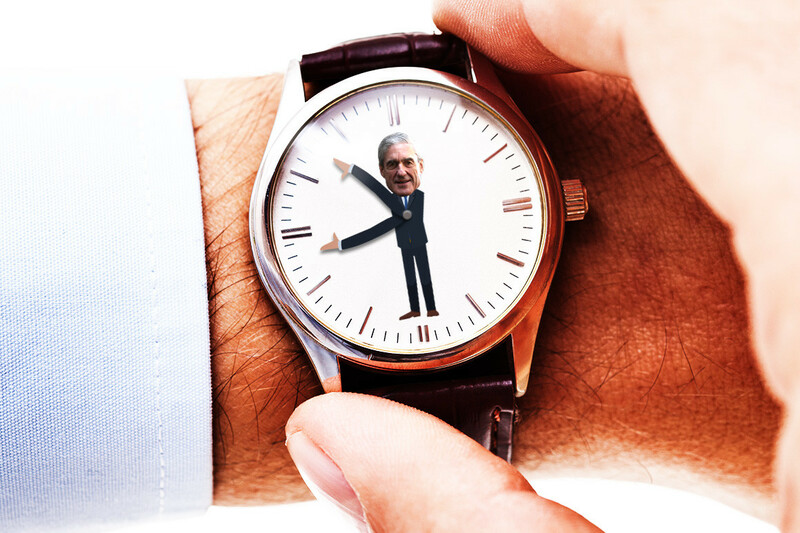 For now, the Democrats say they are proceeding on two tracks: Letting Mueller pursue criminal charges like the ones unsealed Friday against longtime Trump associate Roger Stone; while lawmakers get to work examining whether anything the president has done rises to “high crimes and misdemeanors” definition for impeachment. But inside the party ranks, some lawmakers antsy for action are suggesting those lines should be blurred. Publicly, the committee chairs have said repeatedly that their staffs are constantly coordinating with the special counsel’s office to prevent congressional interference in the ongoing criminal probes and to determine what topics are fair game for House investigators. Those “guardrails,” as aides and members refer to them, are still very unclear. And Democrats are privately placing at least some of the blame on Stephen Kelly, Mueller’s congressional liaison. Kelly, who once served as the FBI’s legislative affairs chief, has long had a reputation for being stringent and difficult to work with, and lawmakers and aides alike have grown concerned that Kelly isn’t sharing enough guidance with the Hill. One congressional aide speculated that Kelly fears that any information shared with lawmakers will leak. Rep. Val Demings (D-Fla.), a former detective and police chief who just won spots on the Judiciary and Intelligence committees, acknowledged the issues with Kelly but defended his approach. Democrats have faced other challenges in extracting information from Mueller’s team and his Justice Department supervisors. House Judiciary Chairman Jerry Nadler (D-N.Y.) had to relay questions through his Senate counterpart to get an answer from Trump’s attorney general nominee, William Barr, during his confirmation hearing about whether he would commit to publicly releasing Mueller’s findings. The House Democrats’ oversight ambitions appear to be a signal that they aren’t going to hold back — even with Mueller still on the clock. Stone’s indictment Friday sets up the prospect of a criminal trial in Washington, later this year that means one of the most closely watched investigations in U.S. history could easily slip into 2020. Acting Attorney General Matthew Whitaker caught many by surprise late Monday when he said that Mueller’s investigation was “I think, close to being completed,” without offering any specifics. Intelligence Committee Chairman Adam Schiff (D-Calif.), who is set to lead Tuesday’s internal discussion about the Mueller probe before the entire House Democratic Caucus, said last week that his panel would need to be more aggressive with its oversight in the wake of the Stone indictment and after Barr hedged during his Senate confirmation hearing on the public release of a final report. “We’re going to have to make sure we find out the facts ourselves, because at the end of the day we intend to let the American people know exactly what happened, what the president’s role was, what the role was of people around him and that’s our mission,” the California Democrat said on MSNBC. Whitaker, scheduled to appear Feb. 8 before the Judiciary Committee, already has a list of questions the Democrats sent him to head off any executive privilege issues. Meanwhile, House Oversight Chairman Elijah Cummings (D-Md.) and his panel’s Democrats are threatening to subpoena Cohen after the president’s longtime fixer postponed a planned Feb. 7 appearance, citing security concerns. Cummings isn’t the only chairman interested in Cohen. Schiff on Monday said the erstwhile Trump loyalist had agreed to give closed-door testimony to the intelligence panel on Feb. 8. Other chairmen have even restructured their committees to go after Trump’s Russia ties. House Foreign Affairs Chairman Eliot Engel (D-N.Y.) formed a new subcommittee dedicated to probing the president’s financial ties to foreign countries. Separately, House Ways and Means Committee Chairman Richard Neal (D-Mass.) could subpoena Trump’s personal tax returns. All of the chairmen have publicly wanted Trump to stay away from comments that could be read as witness intimidation. Cummings and Schiff, for instance, deplored the president’s “mob tactics” after Trump repeatedly attacked Cohen’s father-in-law earlier this month. Despite their aggressive opening salvos, Democratic leaders are already facing pressure from liberal outside groups and even some within their own caucus to go for the gut on investigating and impeaching Trump. “THIS IS OBSTRUCTION OF JUSTICE,” Rep. Ted Lieu of California, a member of the Judiciary Committee,tweeted earlier this month after BuzzFeed published a high-profile story — later denied by Mueller’s office in a rare public statement — suggesting Trump had directed Cohen to lie to lawmakers. Senior Democrats, however, are urging a more cautious and restrained approach. Rep. Stephen Lynch (D-Mass. ), a longtime Oversight Committee member, said that his panel’s investigators will “stay in our lane” and maintain a “very narrow, very targeted” scope. He said lawmakers should only ask witnesses about matters relevant to the committee’s work, not try to score political points against the president. That is exactly what some Democrats fear will happen, especially with the addition of liberal firebrands Alexandria Ocasio-Cortez (D-N.Y.) and Rashida Tlaib (D-Mich.), among others, to the Oversight Committee. Both lawmakers have said Trump should be impeached, and Tlaib punctuated her call to impeach Trump with an f-bomb. Democratic party leaders have no easy answers for dealing with their left flank, said Julian Epstein, a former chief counsel for House Judiciary Committee Democrats during the 1998-99 Bill Clinton impeachment fight. But the left’s agitation does serve a political purpose, said a senior Democratic House aide. “There’s a lot of red meat chum that gets thrown out to the base,” the staffer said. In other words, a profanity-punctuated impeachment cry is more messaging than it is an agenda item. Democrats’ itchy trigger fingers — especially in the wake of the BuzzFeed story — have been easy fodder for Trump and his allies. Longtime GOP operative and former John Boehner spokesman Michael Steel said Democrats will be hard-pressed to follow their leadership’s desire to let Mueller complete his work. “Idle hands are the devil’s playground and in a situation where there’s little chance of legislation produced by House Democrats passing the Senate and being signed into law by President Trump, oversight is a necessary steam valve for their leadership to manage,” Steel said. John Q. Barrett, a former associate who worked under independent counsel Lawrence Walsh during the Reagan-era investigation into secret U.S. arms sales to Iran, called it “unfortunate” that so many lawmakers have defaulted to a “waiting for Mueller” response when asked for comment about allegations of criminality in the president’s orbit. I have been surfing online greater than three hours as of late, yet I by no means discovered any attention-grabbing article like yours. owners and bloggers made good content as you did, the internet will probably be much more useful than ever before.